Those with diagnoses of Chronic Lyme disease (and frequently other unrecognized conditions) are being convinced to empty their wallets on expensive regimens of herbs and supplements. Patients desperate for a solution to their problems sometimes crowdfund on sites like GoFundMe to fund these treatments. Providers of alternative therapies commonly target patients who believe they have Lyme disease. The efficacy of these unconventional treatments for Lyme disease is not supported by scientific evidence, and in many cases they are potentially harmful. Antibiotics are the only known effective treatment for Lyme disease, but a quick search on the internet will introduce you to other untested remedies that claim to cure Lyme disease or chronic Lyme disease. These products—available online or from some health care providers—may be dangerous, deadly, or simply a waste of money. A supplement worth taking is backed by good evidence, and is unlikely to cause harm. Most supplements fail this test – usually because they lack good evidence to show they work. But even where the evidence is promising (and the risks appear acceptable), there’s an additional consideration with dietary supplements – supplement quality is unclear. When you consider the different products that are considered supplements, multivitamins and minerals are probably the safest product – the ingredients are known, they can be measured, and the manufacturing can be standardized. There’s more risk with the herbal and botanical remedies. 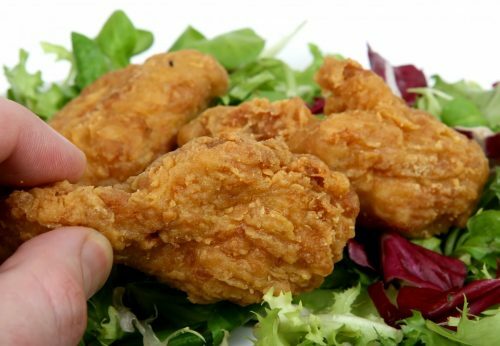 Not only is there a lack of consistency, there’s a much greater risk of adulteration and contamination. Finally, sexual enhancement, weight loss, and body building supplements seem most likely to be adulterated (and there’s no reason at all to take these products). When it comes to dietary supplements, there’s no easy way for a health professional or a consumer to independently verify that a product is of high quality. Regulatory structures leave a lot to be desired, resulting in a “buyer beware” marketplace for consumers. Until something changes, it will continue to be nearly impossible to have confidence in the quality of supplements, or to use them in science-based ways. Sinister: Variation of above–someone wants to sell you something that you are supposed to believe is medically useful, but at the same time they tell you in fine print that it is not medically useful. When it doesn’t work, they don’t get sued. I wonder why anyone would buy something with that disclaimer attached to it? When I treat someone for a medical problem, I pretty much say that I intend to diagnose, treat, cure, or prevent a disease. Why would I say otherwise? It would be a lie. Also, who would go to see a doctor that told you that they didn’t intend to diagnose or treat disease. The whole thing is bizarre. 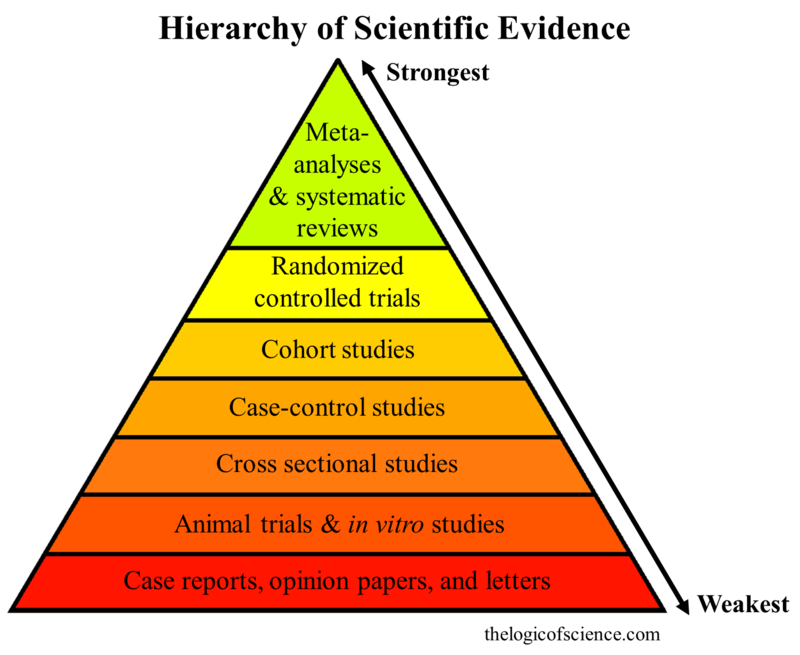 Different forms of evidence range in terms of quality. Most herbs and supplements do not have high quality evidence supporting their safety and efficacy. Sometimes a headline might claim an herb or supplement kills Lyme disease, but closer inspection will show that evidence to support the claim is weak. Many studies are performed in petri dishes (in vitro) or in animals, not in humans. Double-blind randomized controlled trials are the gold standard for determining the safety and efficacy of a treatment. In these studies, a randomly assigned group receives placebo and another group receives the experimental treatment. The effect of the treatment can be determined by comparing the two groups. More detail on the different types of evidence can be found at The Logic of Science. The disease may have run its natural course. The wrong treatment may get the credit. Diagnosis and prognosis may be wrong. To people who are unwell, any promise of a cure is especially beguiling. As a result, false hope easily supplants common sense. In this vulnerable state, the need for hard-nosed appraisal is all the more necessary, but so often we see instead an eagerness to abandon any remaining vestiges of skepticism. Erstwhile savvy consumers, felled by disease, often insist upon less evidence to support the claims of alternative healers than they would previously have demanded from someone hawking a used car. Caveat emptor! In almost all “Chronic Lyme” cases, Lyme infection was not the source of the patient’s problem in the first place. But if the patient did have Lyme disease or another tick-borne illness, pseudoscientific treatments like herbs and supplements likely wouldn’t cure the easily curable infection. Lyme disease rarely remains untreated. However, an interesting 2011 report described a 71-year old woman who knew she had Lyme disease but refused antibiotic treatment. Instead, she chose acupuncture and homeopathy, which don’t work for any condition. The woman had typical symptoms of Lyme disease, including the characteristic rash, which progressed to Lyme arthritis. Four years after her initial infection, the woman finally accepted antibiotic treatment and was quickly cured of the arthritis which had been bothering her. The effective treatment was per the science-based guidelines: 30 days of doxycycline. Lantos PM, et al. Unorthodox alternative therapies marketed to treat Lyme disease. Clin Infect Dis. 2015;60(12):1776-82. 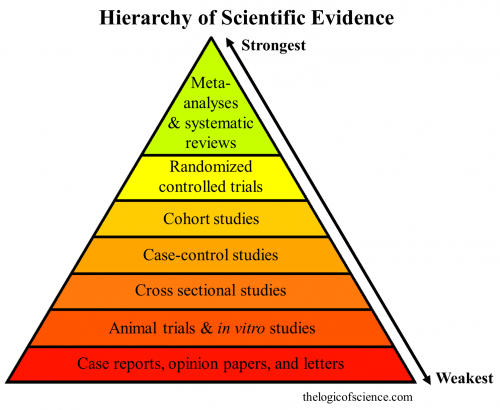 The Logic of Science: The hierarchy of evidence: Is the study’s design robust?